How many pairs of dress shoes do you own? What are their different looks and styles? Do you have multiple colors to choose from? There are many who have just one pair of dress shoes. Even though it is still great they that have at least one pair, it is not going to do them any favors moving forward, simply because one pair is just not enough. If you work in a competitive professional work environment, you need several pairs to go with various outfits. Even though you may feel that nobody will notice, trust us, they will notice when you are wearing the same pair for many days in a row. If you do have a lot of dress shoes, it can be tricky to choose which ones you should wear. Today we will walk you through when to wear a certain type of dress shoe, and we have also included some examples that you should consider. What dress shoes to wear for work? For some reason, when one hears the term “dress shoes,” they automatically think of men. But women need dress shoes just as much, as they are just as integral to a woman’s wardrobe, if not more so. When deciding what dress shoes to wear for the day, you need to first settle on the outfit or suit you are wearing. This is going to directly affect the type of dress shoe that you put on. For men, we recommend having at least one pair of black dress shoes, one pair of brown, and then a colored one such as navy or a maroon. This is going to give you a few options to choose from to wear with your variety of suits. For women, it can be more challenging. If you want a great looking dress shoe we have included an example below that you may find very comfortable. 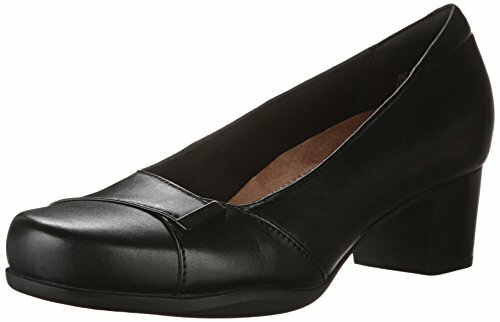 These Clarks womens dress shoes are available in four colors to choose from: black, dark brown, navy, and brown. This gives you options, depending on the outfit you are going to wear or what you are more interested in purchasing. Because of these options, the Clarks Women’s Rosalyn Belle Dress Pump is more customizable than many others on the market right now. This is a question we get asked a lot, especially for women attending a wedding outside or any sort of formal gathering on a beach. What dress shoe should you wear on a hot summer’s night? First off, you are going to want to find something that is breathable and still supports a great classic look. We have included one of our favorite womens dress sandals below that will blow you away with their comfort and durable design. One of our favorite things is that there are so many colors and styles to choose from with the Naturalizer Women’s Danya Dress Sandal. There are over 10 colors that you can look over and see which will be the most compatible with your outfit, and which will work the best for you. These colors include black, gold, silver, brown, and many more crossovers between a lot of standard colors. These sandals have been manmade and you can tell in the quality and feeling of the design. They come with a sole that is synthetic, that also has great grip if you are walking somewhere with highly waxed floors. 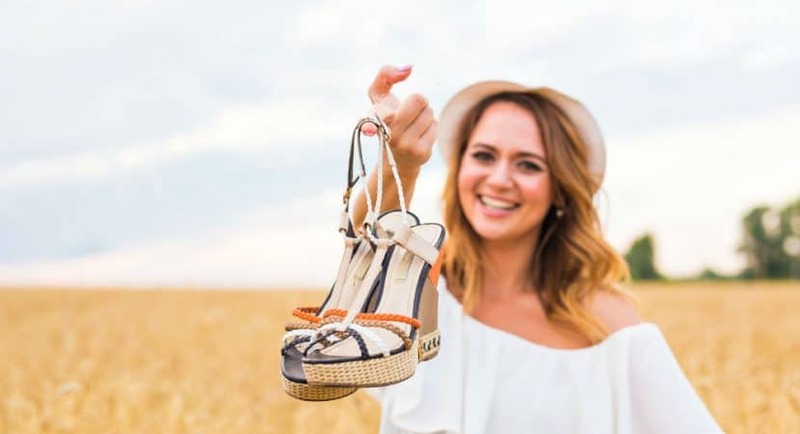 These come with a heel that measures around 3.25” off the ground, which will add to your overall height when wearing these sandals, and it makes them appear even more dressy than usual. The platform on the sandal measures around 1” off the ground, so it is not too much and does not sacrifice a lot on comfort. The main key to knowing what dress shoes to wear is to at least have some options. This is why we recommend going out and purchasing a few new pairs so that you can mix and match for a variety of outfits. What is the Difference Between Sandals and Flip Flops?